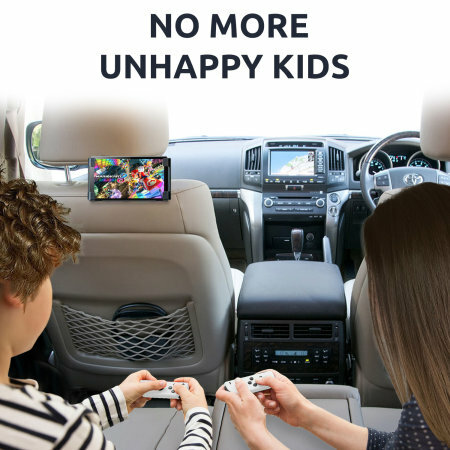 Easy to install, this Nintendo Switch car headrest mount from Olixar places your gaming console in the rear of the car, resulting in a comfortable viewing angle while your family play their favourite games. This item is perfect for my son’s Nintendo switch. Easy to set up! 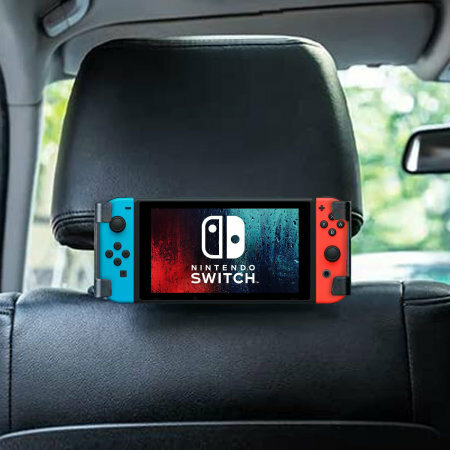 The Olixar Nintendo Switch Car Holder will fit into any car where the headrest can be adjusted so the hooks can be secured around the metal bars of the hardest. With its case compatible design, you can also use a Nintendo Switch case without the need to take it off when used with the Olixar Car Holder. 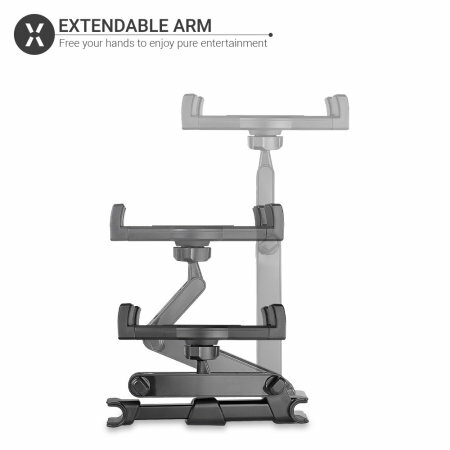 The Olixar Nintendo Switch Headrest Mount allows you and your family to enjoy your tablet on the move. This is the perfect solution for entertaining children and fellow passengers with movies, music and games to make long journeys more enjoyable. 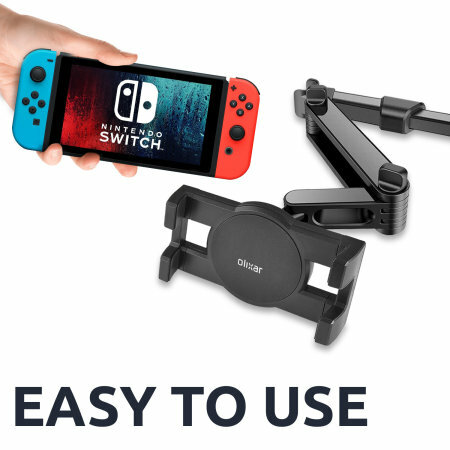 The Olixar Nintendo Switch Car Holder is a sturdy robust holder that will encompass tablet. 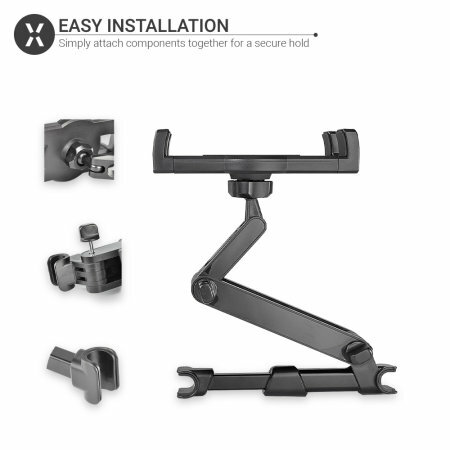 The holder is easy to install around any headrest thanks to its adjustable hooks. These rubber grippers provide a strong and secure hold around the metal bars of the headrest. The plate slides and locks into position, allowing you to secure your Nintendo Switch into the locking plate for a safe secure hold. 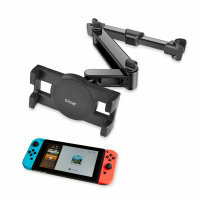 The Olixar Nintendo Switch Car Headrest Mount can switch between landscape and portrait modes with ease. 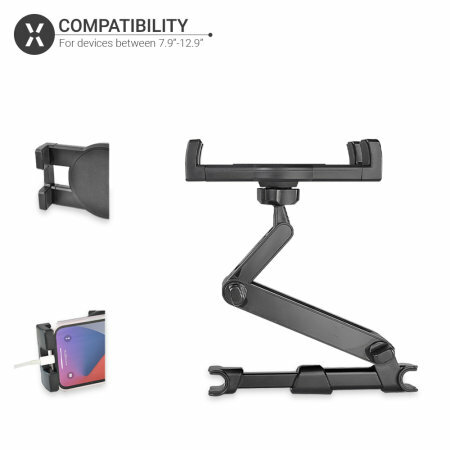 The Universal Mount features a unique 360º adjustable ball joint, which allows you to position your Nintendo Switch in a comfortable position for those sat in the back seats. This is perfect if you want to position your tablet for smaller children or if angling it for just one viewer. The Olixar's simple one touch catch-release design makes attaching and removing your Nintendo Switch easy and hassle free. It's designed so that, with one hand, you can easily insert and remove your tablet from the holder - so within seconds you can be ready to drive or get out of your car. Please note: Please leave a little bit of a gap behind the Nintendo Switch when placed within the holder, to ensure the console is properly ventilated.